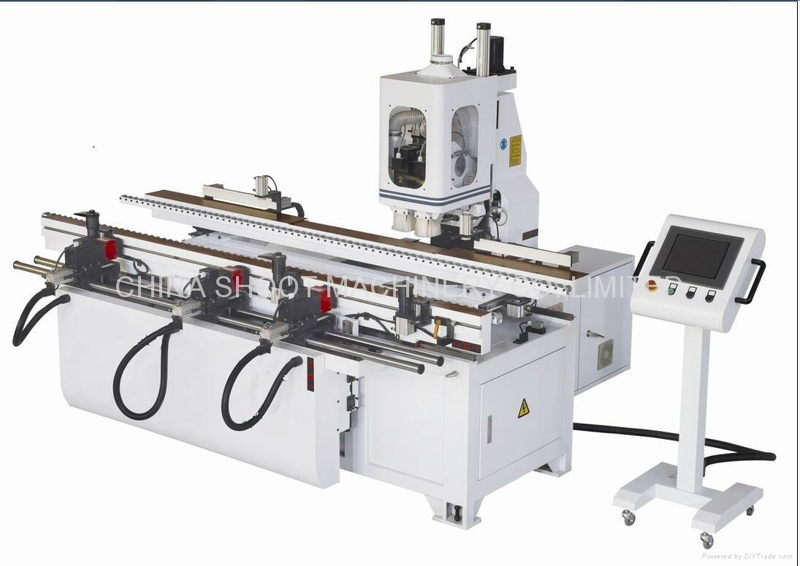 This machine is designed by us with patent, it is used to process lock slot, lock hole, lock side-step and hinge slots. Machine structure is international pioneer. It was granted honors “national key new product”, “high & new-tech product”, “China forestry product innovative prize (wooden door industry)” etc, with extremely high market share in domestic wooden door industry.